Niels Smedegaard, newly elected Chairman of Danish Shipping and Anne Steffensen, Managing Director of Danish Shipping. 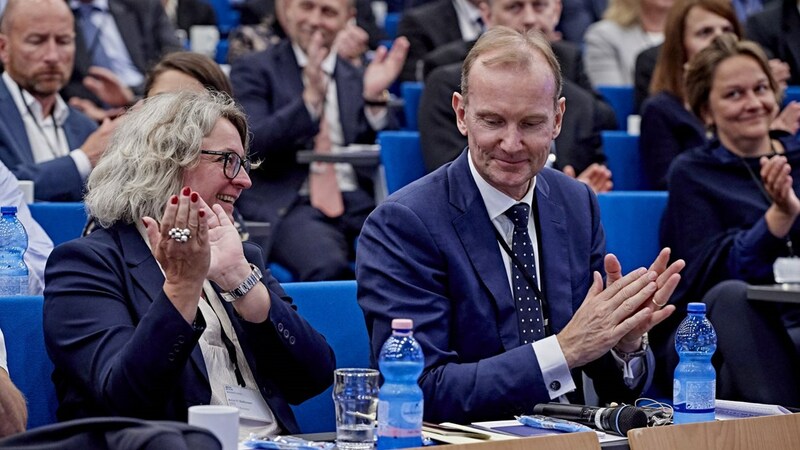 Along with Niels, she hosted Danish Shipping’s successful Annual Day, which took place today 24 May, just after the association’s Annual General Meeting. 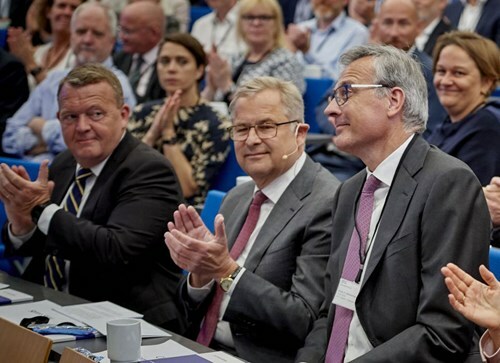 At Danish Shipping’s Annual General Meeting today, 24 May, Niels Smedegaard was elected Chairman of the association after Claus V. Hemmingsen, Vice CEO of A.P-Moller-Maersk and CEO of the Energy division, who is stepping down as a result of the rotation principle adopted by the association. Claus V. Hemmingsen will continue as Deputy Chairman. "To get the opportunity to lead the efforts for the shipping industry is a tremendous pleasure,” said Niels Smedegaard who is now chairing a strong cluster with great potential and lots of support from politics to stay the course and create even more value for the society. “This is not least due to Claus V. Hemmingsen's great work as Chairman, so I would like to thank him for all his hard work," says Niels Smedegaard. Niels’ first task as a chairman was to welcome the guest for Shipping’s Annual Day, which Danish Shipping had arranged just after the Annual General meeting. It took place on Pearl Seaways while in port in Copenhagen. The well-attended and very successful Annual Day also featured The Danish Prime Minster Lars Løkke Rasmussen who saluted shipping for their contribution to society and Søren Skou, CEO of A. P. Moller-Maersk, who delivered a presentation on shipping’s responsibilities and value creation for society. This was followed by interesting workshops on tomorrow’s digital shipping, how to attract talents and the dawn of autonomous and intelligent ships. Rane Willerslev, Managing Director of The National Museum of Denmark, presented his thoughts on living and thinking ‘wild’ in circles outside the normal hierarchies – and was wildly entertaining and certainly gave us food for thoughts. From the right: Claus V. Hemmingsen of A.P. Moller-Maersk, former Chairman of Danish Shipping and, according to the rotation principle, now Deputy Chairman. Claus V. Hemmingsen is, as you know, also chairman of DFDS. To his right is Søren Skou, CEO of A. P. Møller-Maersk, who gave a presentation on Shipping’s responsibilities and value creation for society, and Lars Løkke Rasmussen, Prime Minister of Denmark who saluted shipping for having delivered on their promises for contributing to a strategy for the future.